Your food is your fuel. What you consume becomes the building blocks for your body. Just as humans need to watch their diets, so they must watch their doggie’s diets. With proper nutrition, your dog will be healthier, happier, and an all-around better companion for you and your family. • Water: always keep your dog’s dish full of clean water. They do receive some hydration from their food, particularly if you feed them fresh fruit or vegetables, but it’s imperative to keep water ready for them. • Protein: we all know that dogs love meat, and thus protein. 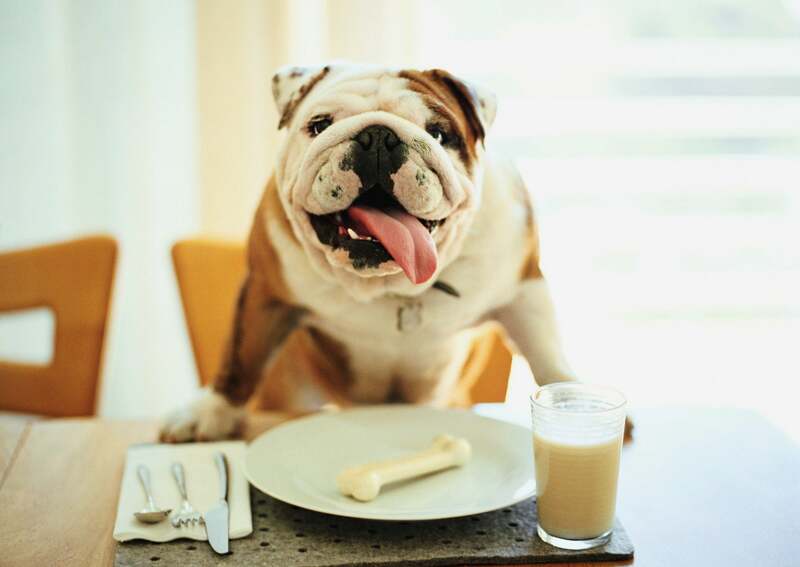 Make sure Fido gets protein from a variety of sources: meats, eggs, vegetables, cereals, and even soy. • Fat: healthy fats keep your dog’s skin healthy and vital. Fat deficiencies can even result in stunted growth, if your puppy is yet to become a full-grown dog. • Carbohydrates: your dog may receive carbs from the grains in his food, but you might also supplement with a carrot or apple from time to time. Even fermented foods can be helpful for your beloved pooch. Fresh beet pulp is only slightly fermented and will provide healthy flora for Fido’s gut, in addition to providing carbohydrates, fiber, minerals, and vitamins. • Vitamins: if your dog is well fed, you probably won’t need to supplement with vitamins. However, older dogs, much like their humans, may need supplements. You want to start your dog’s life off with a great, strong start. Puppy nutrition is imperative if you want to have the healthiest possible dog. In particular, your growing puppy will need lots of protein. Some recommend feeding puppies a diet consisting of 30 percent protein and 18 percent fat. While most of this protein should come from animal meats such as chicken, beef, lamb, and pork, you might consider supplementing with fresh fruits or vegetables. Mildly fermented beet pulp, for instance, provides your puppy with plant protein, beneficial gut flora, as well as all the fiber, vitamins, and minerals you might expect. When your pooch grows long in the tooth, her nutritional needs will change. Support her sunset years with the best nutritional choices. You should start considering a senior diet for your pooch somewhere between 5 and 7 years of age. Giant breeds need a senior diet starting around age 5, larger dogs (up to 90 lbs.) need dietary consideration around age 6, and dogs smaller than 50 lbs. should start watching their diets around age 7. One thing to watch out for is senior dog foods that cut back on protein. Unless your veterinarian recommends a low-protein diet, for dogs with kidney problems, for instance, you should keep your dog’s diet packed with protein. Older humans need more fiber, as their pantries will attest. Older dogs may not need as much fiber, but they will begin to have similar digestive issues. For that reason, feed your dog a probiotic supplement, or mildly fermented vegetables. Beet pulp is a good choice, as is plain yogurt, and cheese. However, if your dog is not used to these foods you might want to introduce them slowly to see how she reacts. Vitamin E and Beta-Carotene are particularly recommended for aging dogs. You might provide E in the form of fish sauce sprinkled on her food, an addition she might find tasty. The fish sauce is also fermented, thus packing lots of nutritional goodness. Older dogs tend to put on too much weight. However, if you keep an eye on their overall food intake, supplement with probiotics to keep their guts working at optimal efficiency, and provide adequate exercise, you should have a trim older dog. If the problem exacerbates, consult with your veterinarian, as there may be more to the problem than diet can address. Making foods for your dog is a great idea. It’s particularly beneficial if you wish to introduce more probiotics into Fido’s diet. Store-bought probiotics have no guarantee that the cultures are still living, while home-fermented foods will surely have the potency you desire. Other “homemade” items can be easily taken care of. It’s not hard, for instance, to feed your dog a dollop of plain yogurt or a broken-up carrot or two. You can also de-seed apples for your pooch. An apple a day keeps the veterinarian away! With proper nutrition, your dog is bound to have the happiest, most active, life possible for the canine species. Following the above guidelines, in addition to any information from your veterinarian, will ensure that your bouncing, happy puppy becomes the best dog ever.